But who cares of the Mont-Blanc preservation? 25 years ago Mountain Wilderness proposed to create an International Natural Park to give Mont-Blanc the level of protection that such an emblematic site deserves and would normally have got in most countries, but not in France nor Italy. When the question of the Park was raised to the public most local authorities reacted very adamantly with the motto: “We can take care of our territory ourselves and it is nobody else’s business”. In reaction to the Mountain Wilderness proposal an entity called Mont-Blanc Space (Espace Mont-Blanc, EMB) was created with the participation of the municipalities of the 3 countries surrounding the massif. The French ministry of Environment was put on top of the head organization: the Mont-Blanc Transboundary Conference (CTMB), directed as well by 3 vice-presidents from the 3 countries. EMB has been using quite extensively European funds to implement its programs however its mission has been since its inception a bit of a moving target. In parallel to EMB an umbrella organization called proMONT-BLANC, grouping 15 environmental associations came together to represent the civil society and was commissioned by its members to act in favor of a registration of Mont-Blanc to the UNESCO world’s heritage. This was also considered as an aggression. 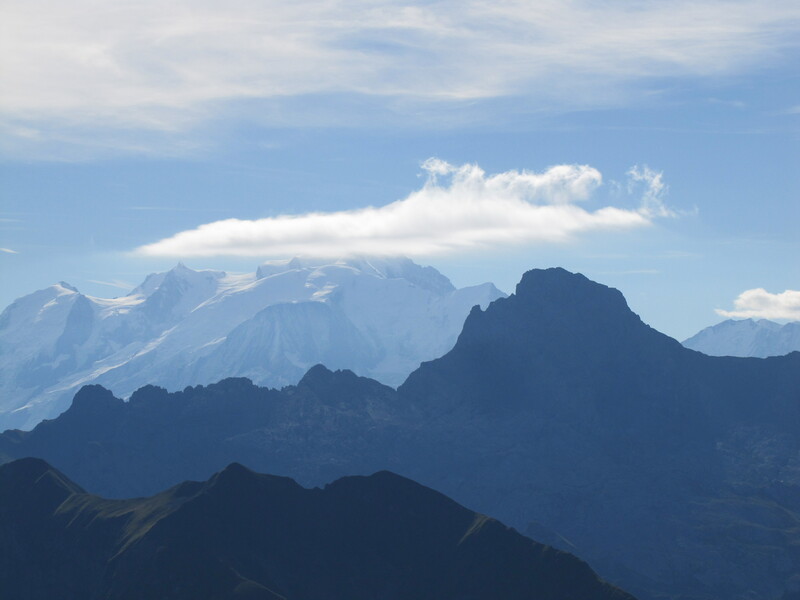 Despite the initial antagonisms, the two groups have contributed to the development of the EMB driven management plan for the range which later became a Strategy for the Future of Mont-Blanc. Its development involved multiple committees working on issues such as access routes to Mont Blanc, accesses to shelters/huts of the massif, outdoor activities, biodiversity, energy transition, motorized flyovers etc… However, despite several Mountain Wilderness requests the major infrastructure developments projects never really came to the table for a discussion. Problems posed by the skyway Monte Bianco were raised many times including safety on glaciers, well ahead of its opening. No satisfactory response were ever produced even after a call to a meeting of all parties by the Haute-Savoie prefect. This situation led to the current dispute on the French/Italian borders. Is a European Natural Park not a better answer? Note: The above text is the sole view of the writer. It does not represent an official position of the Mountain Wilderness Organization.